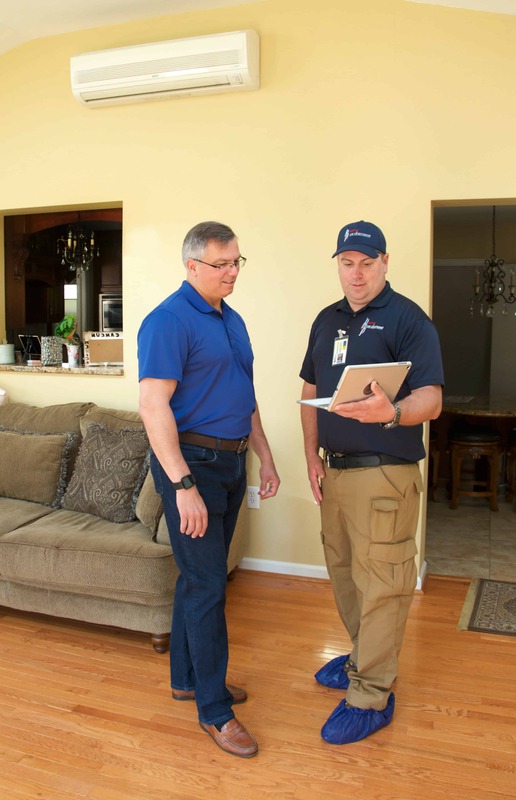 The first step in ensuring the comfort of your home is finding a trustworthy and efficient heating and air condition system. A ductless cooling and heating system offers just that. At H&H Heating and air conditioning, we are determined to offer you the best HVAC tools available on the market, and the Mitsubishi ductless air conditioning systems provide the best features for your home. Why Opt for Mitsubishi Ductless Air Conditioning Systems? Choosing an HVAC system for your home is a central aspect of maintaining your household bliss. So here are all the reasons why you should choose Mitsubishi ductless ac units for your home's cooling needs. Environmentally friendly and efficient: Want a quality product that also gets the environmentally friendly tick of approval? Look no further, these HVAC systems go the extra mile and follow the Energy Star guidelines ensuring optimum energy efficiency. Besides the added savings and comfort, installing the ductless unit will undoubtedly give you a green thumb by also lowering your carbon footprint. Easy to use & easy to install: As this alternative to tradition HVAC units is duct-free, installing the system is easy and quick. Additionally, they are the perfect solution for homes where putting in new ductwork is not viable. The installation process consists of an indoor unit that should ideally be placed in a high spot in the room to secure consistent temperatures all year round. Similarly, where traditional air conditioning units can often have hefty outdoor units, the ductless Mitsubishi heating and cooling units consists of a relatively smaller outdoor unit that is a lot easier to adjust around your home. Breathe easier: Improving indoor air quality is an essential step in curating an environment that is both comfortable and healthy for you and your family. By choosing the Mitsubishi ductless air conditioning units, you can rest assured that your family is breathing in pollutant free air thanks to the multi-stage filtration. A system that won’t break the bank: Looking for optimum comfort that is economically viable? Mitsubishi’s ductless air conditioner ensures you get maximum efficiency to keep the electricity bills in check. Split-ductless air conditioning units also come with the ability to customize the system’s heating and cooling according to the specific requirements of your home. Homeowners have the flexibility of choosing the exact zone they would like to be cooled. At H&H Heating and air conditioning, we are determined to provide superior products to our customers. So contact us today if you are looking to install a Mitsubishi ductless air conditioning system.